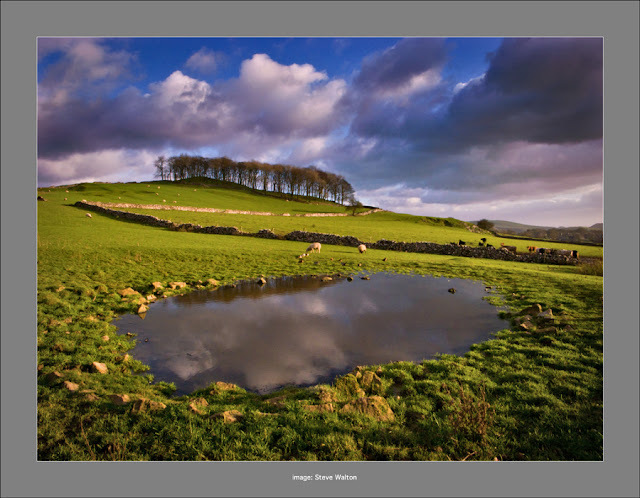 A couple of day walks around the Ashbourne, Biggin, Hartington and Alstonefield areas in the southern end of the Peak District has enlightened me to something: 75% of England's ancient dew ponds have been destroyed in the past few decades. Britain is home to over 50% of the world's population of newts. Newts, such as the great crested, need these ponds to breed and survive. As they are now globally endangered there is a project underway to restore dew ponds within the White Peak. That's a fascinating project. Part of today's walk took me along Wolfscote Dale by the River Dove and it was good to see a pair of peregrine falcons stooping near Peaseland Rocks, dipper and herons along the river and buzzard overhead. It's heartening to see these species recovering. Making my way back to Alstonefield late this afternoon, I stood by this dew pond for quite some time watching the light come and go, hoping it isn't too late for the newts. all of which I am very pleased with. 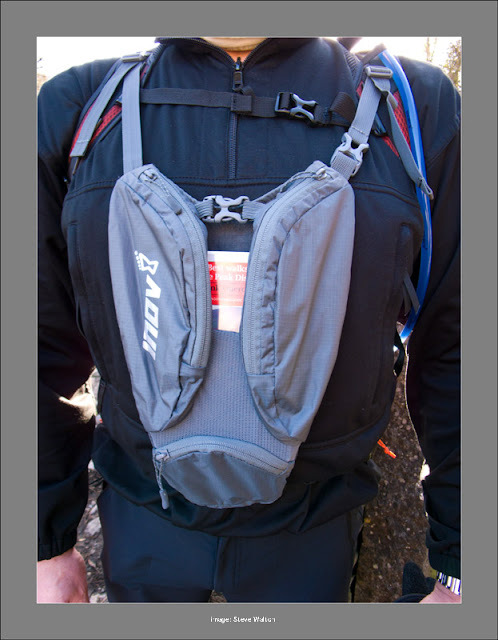 These lightweight packs are compatible with the Inov-8 H2orizontal Hydration System, which for me is the best hydration bladder system I have used. Up to 2 litres of water can be carried with ease around the waist and the bite valve does not leak.